It is with great regret that Live Nation confirmed today that the Paul Simon & Sting On Stage Together concerts previously scheduled for this Friday, March 13th at Krakow Arena and Saturday, March 14th at The O2 Arena in Prague have now been cancelled. As reported earlier this week, after being diagnosed with the flu and a high fever, under doctor's orders, Sting was forced to cancel these performances while he recovers at home in New York City. While attempts were made over the last 2 days to reschedule these events, unfortunately due to existing artist commitments and routing conflicts the promoters were unable to do so. Both artists deeply regret disappointing or causing any inconvenience to their fans. Fans who purchased online at eventim.pl or livenation.pl should return their tickets with the completed refund form (http://www.eventim.pl/obj/media/PL-eventim/pdf/formularz-zwrotu-reklamacji-01-2015.pdf) to the address below. Refunds will be made no later than 14 days from the date of receiving properly completed and delivered documents by Eventim. Fans who purchased tickets at outlet stores may receive their refund at the point of purchase beginning March 11th. Please remember to bring the ticket together with the receipt. Kindly return your tickets by June 1st, 2015. For further details, please contact info@eventim.pl. Ticket refunds will be available starting next Wednesday March 18th,2015 at Ticketportal point of sales. Refunds available through May 31st, 2015. For additional information, fans may also visit: www.ticketportal.cz and www.livenation.cz. 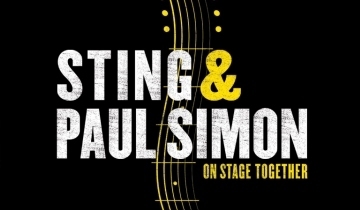 For complete tour and artist information, visit: www.simonandstingtour.com; www.sting.com; www.paulsimon.com. 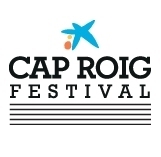 On July 10, Sting will perform at the Festival of Cap Roig in Spain as part of his summer 2015 tour. Tickets are on sale now at Proticketing.com. After being diagnosed with the flu and a high fever, under doctor's orders, Sting has been forced to cancel two performances on Monday, March 9 in New York City while he rests at home.